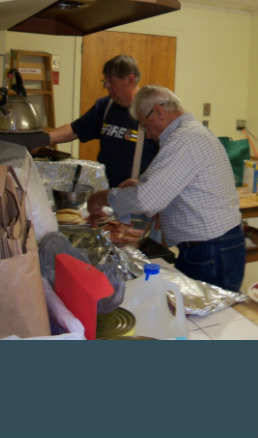 On the second Sunday of each month (except for June, July and August) RVUMC serves dinner free to anyone who wants to come, from 5:30pm to 6:30pm. 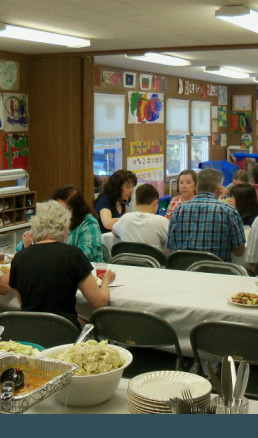 Members of the church offer a potluck meal. Dining is family-style. Somehow, it all works out. Next one will be April 14th.